The Gallery is located next to and shares similar architectural characteristics as the Kairos Hall. Located on the first floor with direct access to the Kairos Hall, the room has a double door and two single door entry points allowing it to be used as a breakout room for the Main Hall or as a separate venue. One entrance is next to the lift offering full accessibility. 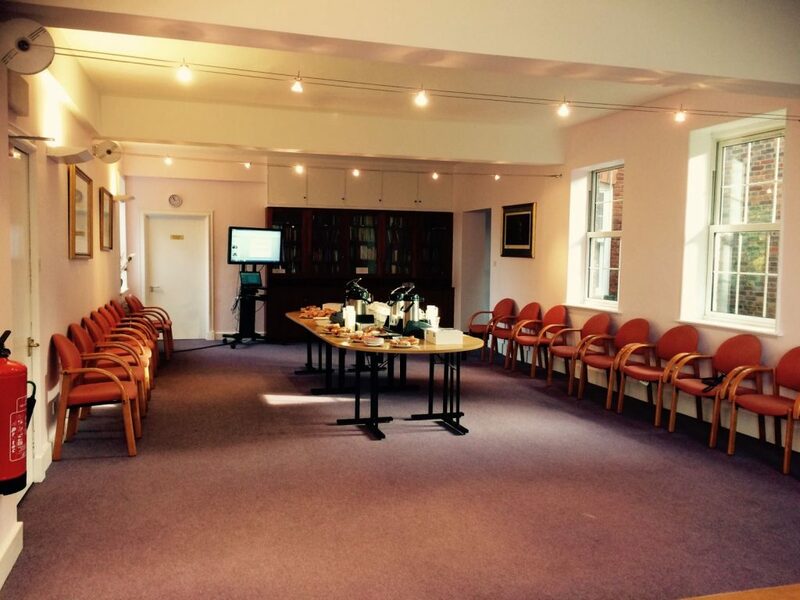 The Gallery is ideally suited to seat 25 people around a boardroom table, however it is a well proportioned room and can serve many functions. Natural light from windows on three walls bathes the room in beautiful sunlight and offers outstanding scenic views of Richmond Park and our grounds. The daily rate for hire of the Gallery is £150.